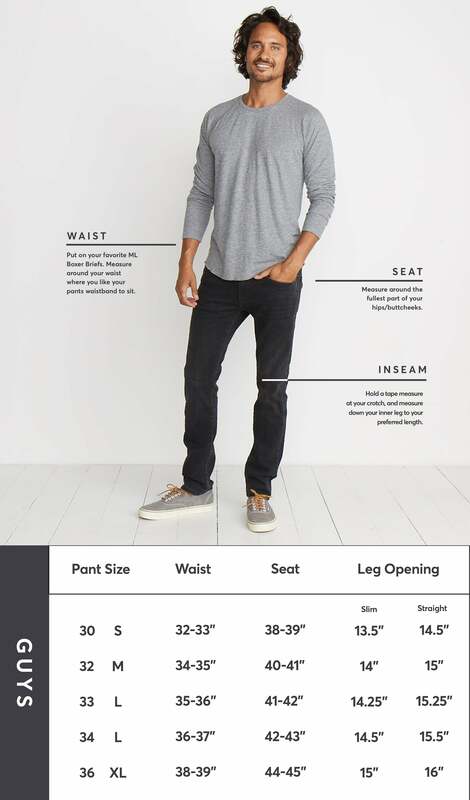 Introducing ML Denim: the world's softest premium denim in every style you need. 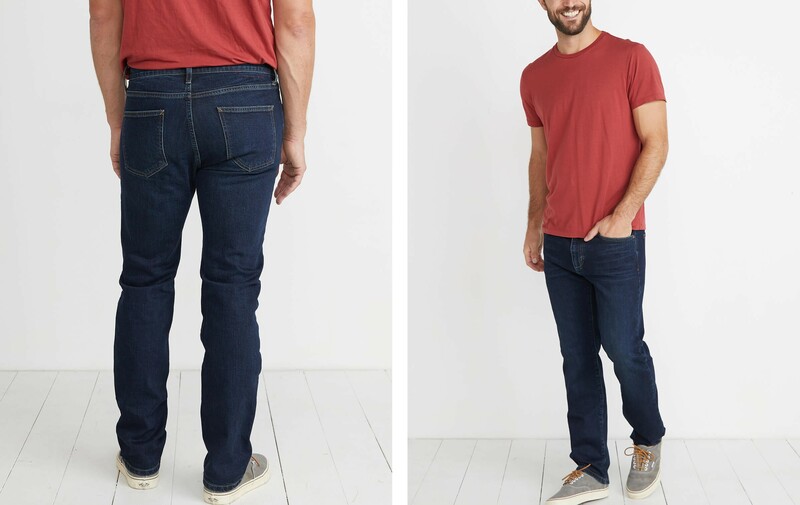 Our Straight Fit jeans are a little more relaxed through the hip and thigh with a straight leg, plus stretch for comfort. Featuring details like a custom shank, authentic rivets, and an invisible patch (don't ask). After a loooot of thought, we decided to make our jeans at a mill based in Turkey where some of the world's best denim is made. 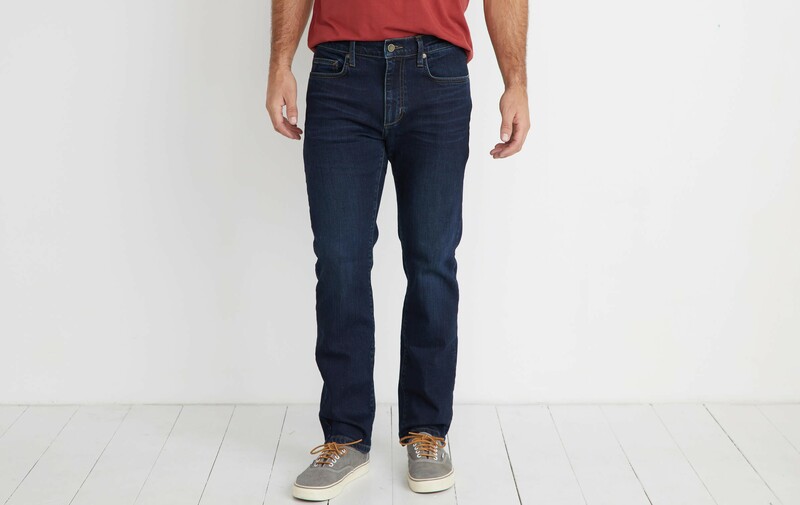 The climate is perfect for producing Extra Long Staple (ELS) Cotton, which makes our denim durable and soft. Jack is 6'0", wears a 32x30, went to Oxford, worked at Google, has an IMDb, and (saving the most impressive feat for last) occasionally models for Marine Layer.